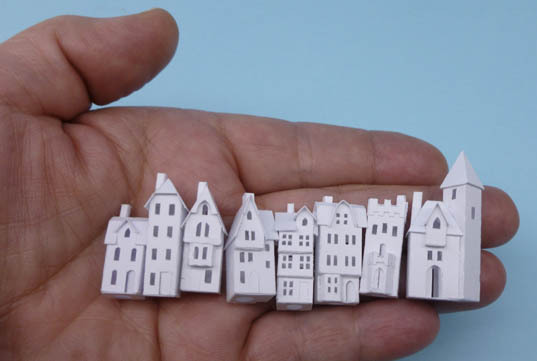 It is the time of year when I launch myself into designing a new set of very tiny little buildings. I design them in a 3D CAD program and that is what these images are taken from. 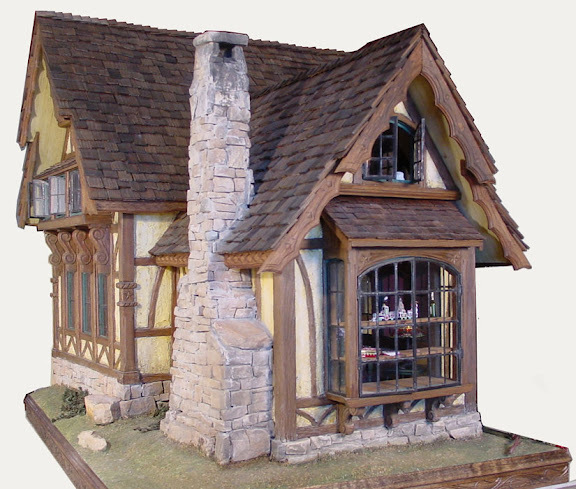 Now this little building in the smallest size I offer it is only .84" high. Yes, that is right less than 1 inch tall!! You are a person of many talents. Very nice. Designing this little castle has been keeping me indoors and away from my Campster project. This is the first full prototype I have cut. But of course now I will be doing lots of minor revisions to this and that on it. Hopefully I can cut a final prototype that totally satisfies my expectation this week. But after that I have to launch into writing the assembly instructions and start cutting the kits. Interesting! Thanks for sharing these. Very nice skill set. What do you use to cut them out? It's only right that you should have a castle. You rule! What a beautiful creation KC...welllll done!! wow! !